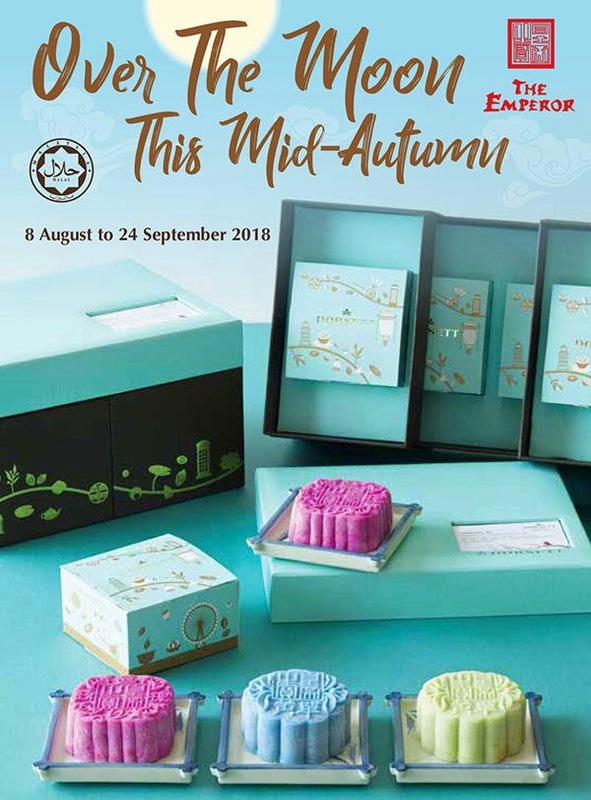 The colourful allure of Dorsett Over The Moon This Mid-Autumn mooncake collection makes an impressionable gift this festive season for everyone whether it be family, friends or business acquaintances. Setting the kaleidoscope of sweetness is Ruby Allure, a fruity dragonfruit crystal skin mooncake with creamy and nutty red bean paste. Not only does the natural bright colour entices the sight but the delicate fruity sweetness with the red bean paste melts-in-the-mouth deliciously. The pastel green hue of pandanus leaves in Golden Treasure offers a surprising delight. Filled with durian and black sesame paste, the flavours of the crystal skin mooncake works harmoniously well. There is also Dorsett’s signature Sapphire Glitz, a blue pea flower infused crystal skin mooncake filled with luscious white lotus paste and single salted egg yolk. It’s a classic flavour with a modern appeal. 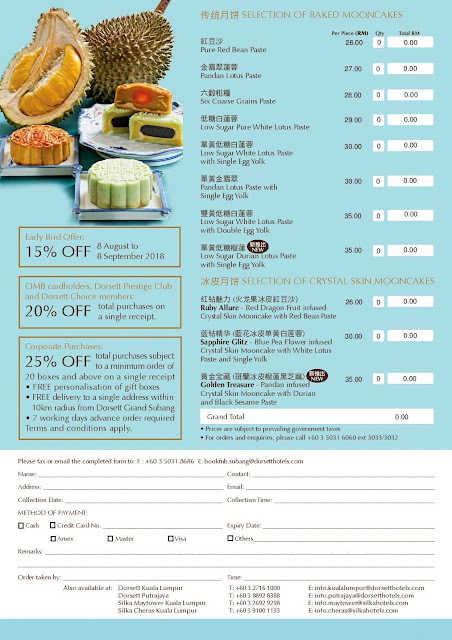 Besides the crystal skin mooncake collection, there are also eight varieties of baked mooncakes. Ranging from classic Pure Red Bean Paste, Pandan Lotus Paste and Six Course Grains Paste to health-conscious Low Sugar Pure White Lotus Paste, Low Sugar White Lotus Paste with Single Egg Yolk, Low Sugar White Lotus Paste with Double Egg Yolk and Pandan Lotus Paste with Single Egg Yolk. There is also a new flavour this year of Low Sugar Durian Lotus Paste with Single Egg Yolk. 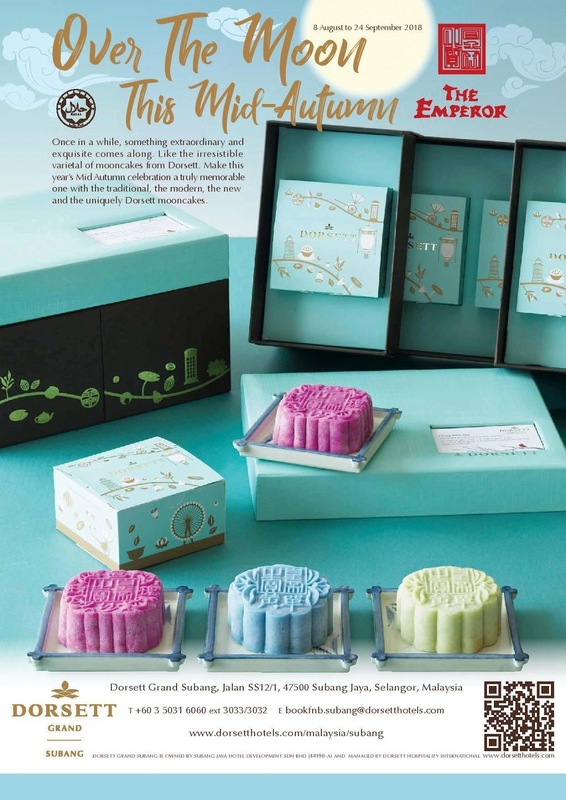 Dorsett mooncakes are packed in a pretty double-tiered box set in Dorsett’s corporate signature blue and brown colour theme with Dorsett motifs. All mooncakes are 'Halal' and also available with advance order at Dorsett Kuala Lumpur, Dorsett Putrajaya, Silka Maytower Kuala Lumpur and Silka Cheras Kuala Lumpur. Dorsett Over The Moon This Miid-Autumn mooncake is available now until 24 September 2018.